Publisher: Sony Interactive Entertainment Inc. Enjoy this free Knack 2 demo. Play solo or tag-team with a friend through seamless couch co-op and check out Knack's new moves! Co-Op Mode – Join in on the fun with an engaging two player co-op mode, which offers a variety of special two-person combo moves. Co-Op mode also allows players to seamlessly enter or leave the game at any given moment. Family-Friendly Adventure – From longtime nostalgic platform era enthusiasts to newcomers alike, Knack 2 features accessible and vibrant gameplay for players of any skill level. 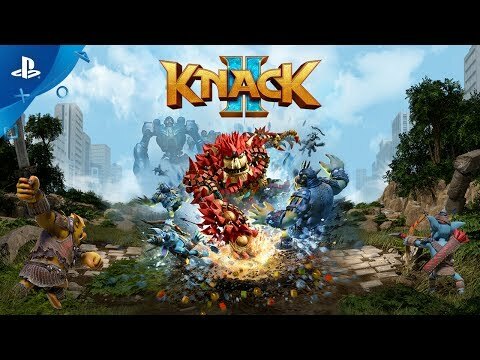 Dynamic and Robust Combat System – With over 20 moves including flying kicks, boomerang attacks, powerful body slams, a barrage of multi-punches, and even parrying enemy attacks right back at them; Knack will continue to expand his skillset as players progress throughout the game. 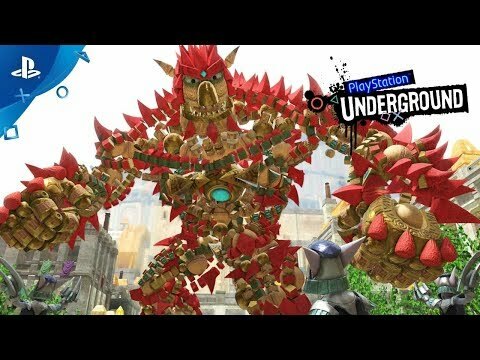 Engaging Puzzles – Challenging and diverse puzzles will force players to take advantage of Knack’s various ever-moving parts; whether it’s utilizing his size-shifting abilities or implementing the right move at the perfect time.